Wood has been used in making floors for centuries. It’s class, durability and aesthetic are unrivaled. Unfortunately, even the most durable wood flooring needs to be restored. The expert floor sanding service in Wimbledon SW19 we offer is compatible with every type of wooden floorings. What is Wimbledon Floor Sanding Famous With? 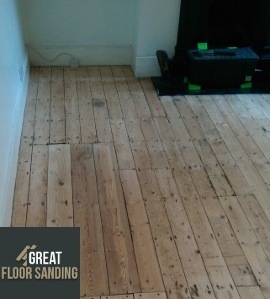 What makes us the ideal choice for your floor sanding in Wimbledon is the fact that we value quality above all else, and you’ll find this in the craftsmanship. All technicians in the employment are BONA certified and operate with high-grade equipment that delivers impeccable results and absorbs the fine dust particles. In the end, you return to immaculate floors and a clean house, office or flat. So save yourself time and effort and trust in the proven excellence. Request your viewing for wood floor sanding right now! Just give us a call at 020 3404 9697 and tell us what you need us to do. We’ll dispatch a team at a convenient time to inspect the property and give you a no-obligation quote 1 to 3 working days after. Feel free to get in touch every day of the week, any time of the day. Whether it’s a work day, the weekend or a national holiday, you can always get through. Plus, we have a contact form or our chat facility.